Irish rock band “U2” announced through it’s website on Tuesday that it will play at Bogota‘s “El Campin” stadium on October 7. The band will take in the Bogota date as part of “The Joshua Tree Tour 2017” before heading to Buenos Aires, Santiago and Sao Paulo. The tour, which is commemorating 30 years since the release of the band’s fifth studio album will feature ex-Oasis member Noel Gallagher who will perform with “The High Flying Birds” in the Colombian capital. 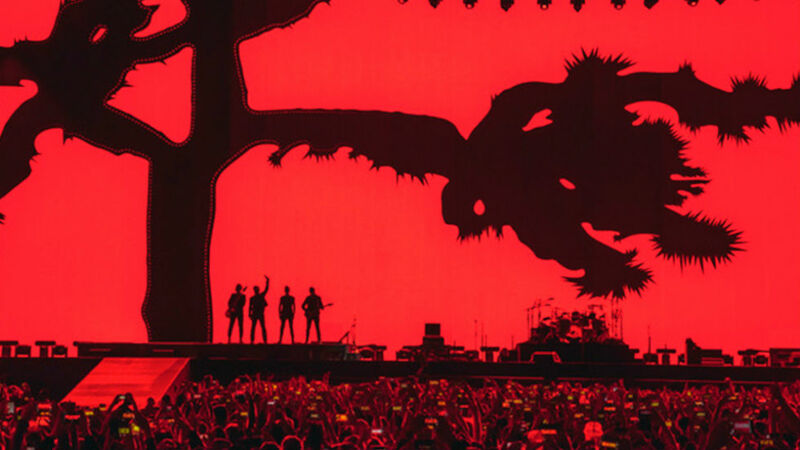 “The Joshua Tree,” which won the 1987 “Album of the Year” tackled contradictory feelings about the United States with songs such as “Bullet the Blue Sky” and “In God’s Country” also raising issues of faith, social injustices, governmental oppression, terrorism and drug addiction. Songs “With or Without You” and “I Still Haven’t Found What I’m Looking For” gave U2 its first #1 singles in the US. Lead singer Paul Hewson, more famously known as “Bono” has never shied away from using the band to air political views and the 1987 album did just that. The song “Sunday Bloody Sunday” condemned British colonialism in the north of Ireland while the song “Mothers of the Disappeared” was said to be inspired by bombings in El Salvador and repression in Chile by US-backed Augusto Pinochet. The 2017 tour commemorates what many regard as the band’s greatest piece of work, the point where they reached a breakthrough to worldwide stardom. “Recorded at Windmill Studios in Dublin, where the band did its early records, the album has a contagious optimism despite its often grim subject matter,” said Steve Morse of the Boston Globe at the time. Tickets will go on sale for the concert on June 15 and will cost $173 on the pitch; $225 lower east and west stand; $155 upper east and west stand; $83 upper north stand and $70 lower north stand.